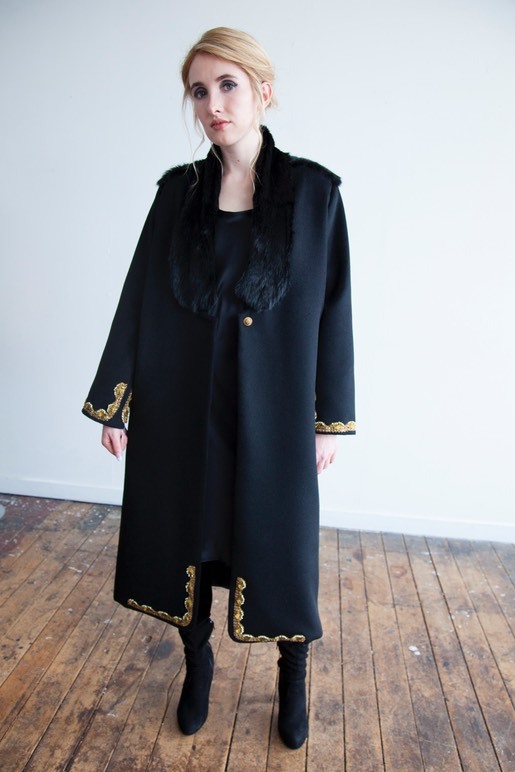 If it weren’t for the fabulous gold thread with imitation pearl braid, this long black coat might be called austere. And there’s absolutely nothing wrong with that! With or without the bling, it works as a simple style with practicality at its heart. 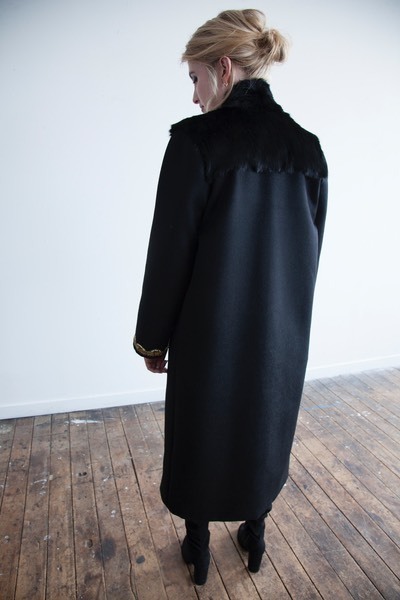 In beautiful 100% wool, with fur collar, yoke and a lone button, fancy or otherwise, this stylish coat can be made to your requirements in any size. 100% Wool, NZ Wild Rabbit Eco Fur (dyed black) back panel & collar, 100% Silk Crepe de Chine lining (this coat in 'bullet' grey), 50% Wool / 50% Cotton interlining.